NOTE: This is a guest post by Garrett Honeycutt of LearnPuppet. As mentioned in an earlier post, we’ve been working with Garrett and his team to enhance the Sensu module for Puppet. This collaboration has brought the module to parity with other supported CM systems and full feature support for Sensu Enterprise. This post will describe how to use Puppet to manage your Sensu systems. It assumes you have a little familiarity with Puppet and none with Sensu. The examples use Red Hat Enterprise Linux 7 (EL7) as the platform. Sensu is a highly flexible monitoring framework, supporting both status checks and metrics collection. Its combination of flexibility and sane defaults provides 95% of your monitoring strategy out of the box, freeing you to focus on the 5% that’s unique to your infrastructure and organization. 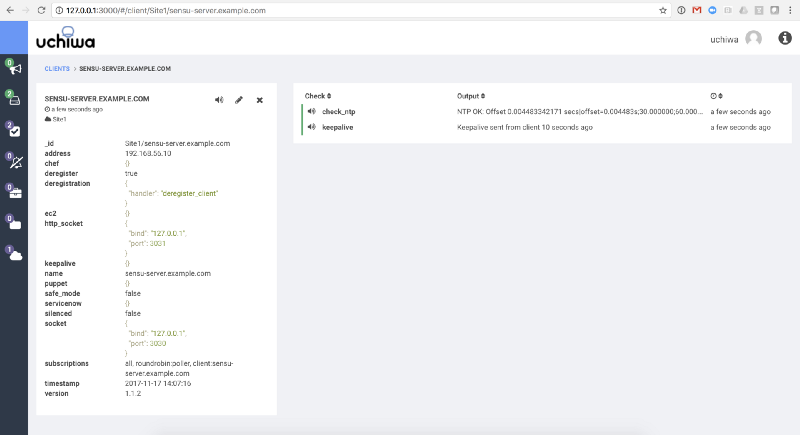 Sensu is compatible with the Nagios Plugin API, allowing users to easily migrate their legacy monitoring plugins and borrow from the tremendous ecosystem of open source monitoring checks. Sensu’s architecture decouples servers and clients in a way that accommodates infrastructures of all shapes and sizes. But, whether your environment is highly dynamic, static, or somewhere in between, deploying Sensu requires consistent and reliable configuration management to ensure clients and servers behave as expected. As such, Sensu’s relationship with configuration management tools like Puppet is an essential one. The Sensu Puppet module provides the classes and types you need to integrate Sensu into your custom classes or roles. We are very excited to have achieved Partner status with this module. This means the quality of this project is considered higher than those with Approved status, and on par with Supported modules. This was the culmination of a broad effort to deliver a better experience for the combined Puppet and Sensu community. The module uses Puppet strings to generate documentation from the code. Check out the module class list to see the available parameters and their data types. The easiest way to demo Sensu is to use our Vagrant sandbox. For this you need to install Vagrant and VirtualBox. Vagrant will start two virtual machines, sensu-server and el7-client. With these services running and exposed by Vagrant, we’re free to experiment with a fully functional Sensu stack. By manipulating the test fixtures in this module, or the using vagrant ssh to log into these virtual machines manually, you can configure checks, filters, mutators and handlers in this sandbox environment and observe the results via the Uchiwa dashboard or the Sensu API itself. 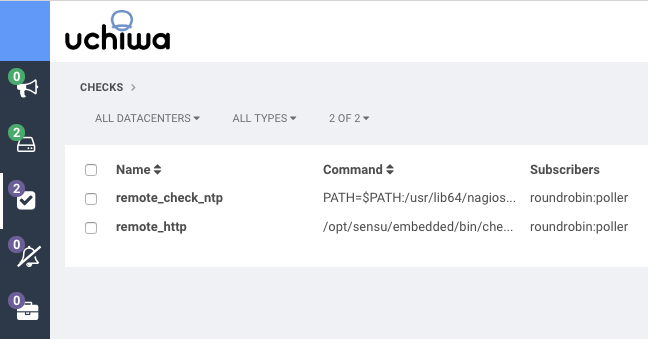 Once you’ve had a chance to experiment with Sensu via the Vagrant sandbox, you’re ready to deploy Sensu for monitoring your Puppet-managed infrastructure. To get started, install the module along with it’s dependencies on your master Puppet server. Don’t worry if your versions are different. Next you’ll want to install the EPEL repository. Install RabbitMQ, which the module will use to communicate with all Sensu nodes. Add a node entry for the server. This is also available as a Gist here. If using a multihomed system and the interface you connect to the sensu-server is not the same IP as returned by the ipaddress fact, you may need to specify client_address on line 51 with the IP address of a different interface. # replace `sensu-server.example.com` with the FQDN of the system. # however they can only authenticate from localhost. # be created in the rabbitmq.sh script. Finally, run puppet on the Sensu server to apply our manifest. As mentioned earlier, Sensu servers and clients use RabbitMQ as a message bus. Setting up RabbitMQ is beyond the scope of the Sensu puppet module, so please see the RabbitMQ module documentation for details on it’s usage. 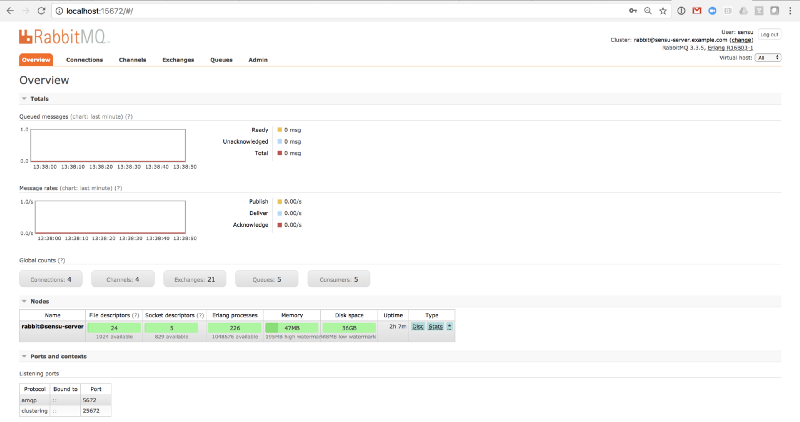 Once RabbitMQ has been configured, you can check out its dashboard to verify that clients have connected. The RabbitMQ dashboard for our vagrant setup can be found at http://localhost:15672 (username sensu, password correct-horse-battery-staple). Sensu’s RESTful API is now exposed on tcp port 4567. It provides access to monitoring data collected by Sensu, such as a client registry, check results, and event data. The API can be used to request adhoc check executions, and resolve events, among other things. 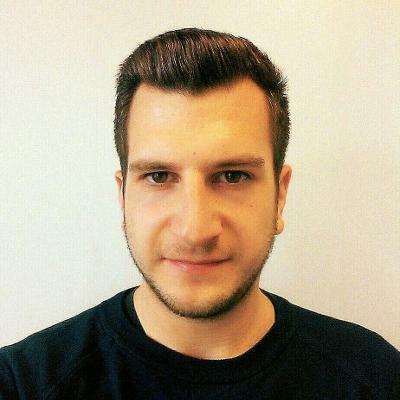 Check out the documentation at https://sensuapp.org/docs/latest/api/ for a comprehensive reference and examples for using the Sensu API. The following command will query the API to retrieve the list of known clients. If you’re not using the aforementioned Vagrant setup, replace 127.0.0.1 with the IP address or name of the Sensu server. Which results in the following JSON output. The Uchiwa dashboard displays information for all Sensu clients, checks, events, and more. The web interface in our vagrant setup can be found at http://localhost:3000 (username uchiwa, password uchiwa). The following snippet can be used on each additional node that you want to register with Sensu. Once this is applied to a node you should begin seeing the client appear in the API clients output and in your Uchiwa dashboard. Introducing Sensu to your existing Puppet-managed infrastructure is a quick and easy way to increase the visibility into your automated architecture. And because Sensu is first and foremost a monitoring framework, you can easily extend it to support your business as it grows and your needs evolve. If you have any questions about using Sensu with Puppet, join us in the Sensu Community Slack and ask me anything in the #puppet channel! Garrett Honeycutt has been using Puppet for 10 years, consulting and training companies of all sizes around the globe. 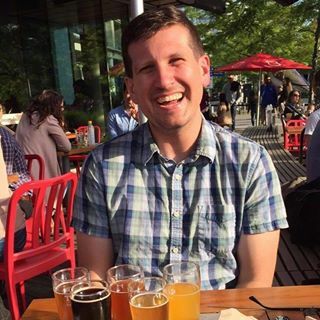 He runs LearnPuppet, a company focused on automation and specializing in Puppet consulting, training and implementing CI/CD and other DevOps practices. He also provides support for the Sensu puppet module.